Without a doubt, Thessaloniki is Greece’s rising star. Until recently, the charms of this port city have been overshadowed by Athens, still the most visited place in the country. Lately, this northern city has been stirring up interest. 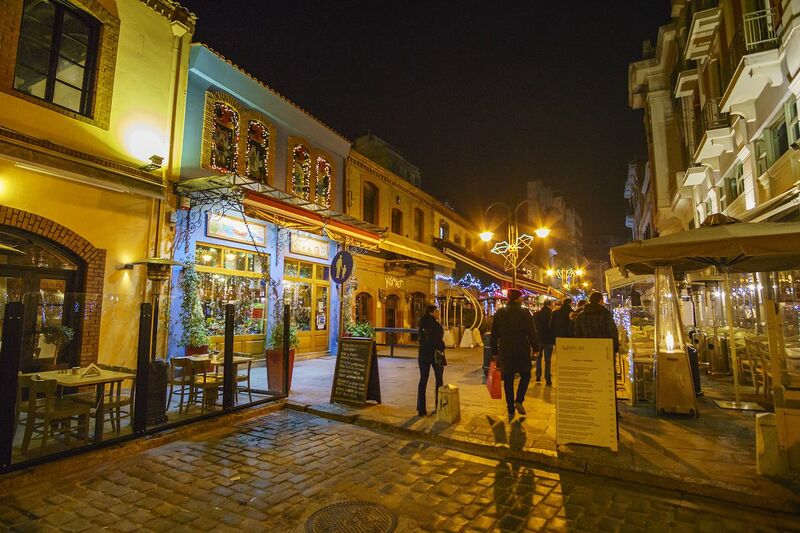 Salonica, as locals call it, is slowly and confidently making its way to the Greek travel scene, bringing with it a rich cultural and culinary heritage, stellar nightlife, and laid-back authenticity. 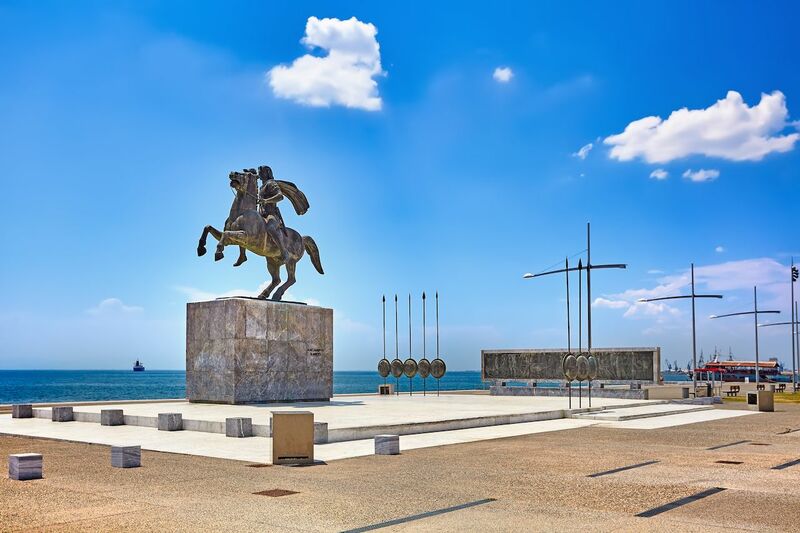 Here’s why Thessaloniki should be on your bucket list. You can stroll through picturesque neighborhoods. Unlike bustling Athens, Thessaloniki moves at a slower pace. The locals’ mantra roughly translates to ‘’chill out,’’ and they truly live by it. Conveniently, the city’s neighborhoods, hip dining quarters, and nightlife are all within walking distance, so you can explore most of it by foot in one day, permitting yourself to get distracted by a sweet-smelling bakery or a cozy café along the way. Head up the cobblestone alleys to Ano Poli (the upper city) for an astonishing view of the city, and marvel at the Byzantine churches and monasteries. You’ll see neoclassical buildings as you pass by Aristotelous Square towards Athonos Square with its traditional food markets. When you get tired of bargaining with the food stall owners for olives, sardines, and halva, move on to the famous Ladadika district for a late lunch. 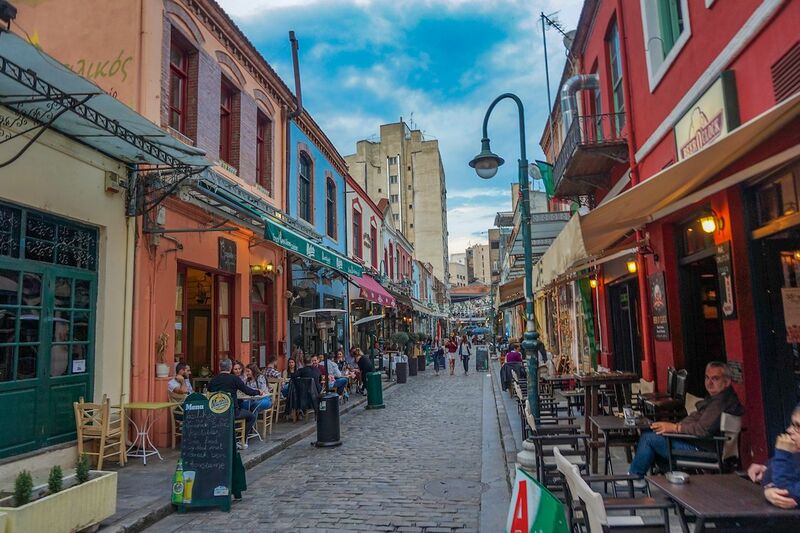 Or have a meal in the erstwhile Jewish district, which is filled with tavernas and restaurants among colorful two-story stone houses. You can stay up until dawn. Thessaloniki may be chill, but that doesn’t mean it’s sleepy. The city invites everyone to party once the sun sets. A typical evening starts with some warm-up drinks down by the waterfront next to the White Tower, a local-favorite hangout spot. Reaching closer to the city center, in the Valaoritou and Ladadika districts where much of the city gathers, bars will be setting up shop for another busy night. Options are plentiful, from fancy cocktail bars and live music pubs to underground smoky watering holes and even the famous Arabella Cruise Bar, a floating pirate-ship bar that sails around the Thermaic Gulf. Thessaloniki seldom quiets down before the break of dawn, rightfully earning its nickname as the city that never sleeps. Its most iconic landmark has an amazing view. The White Tower is the city’s most famous landmark. It stands tall on the city’s waterfront as dominant now as it has been since the 1400s. Originally built on top of Byzantine ruins, it has served a plethora of purposes, including a fort, military post, prison, communication hub, air force office, and meteorology lab. Today it’s a museum with fascinating stories to tell and magnificent views out across the Thermaic Gulf to offer at the top. 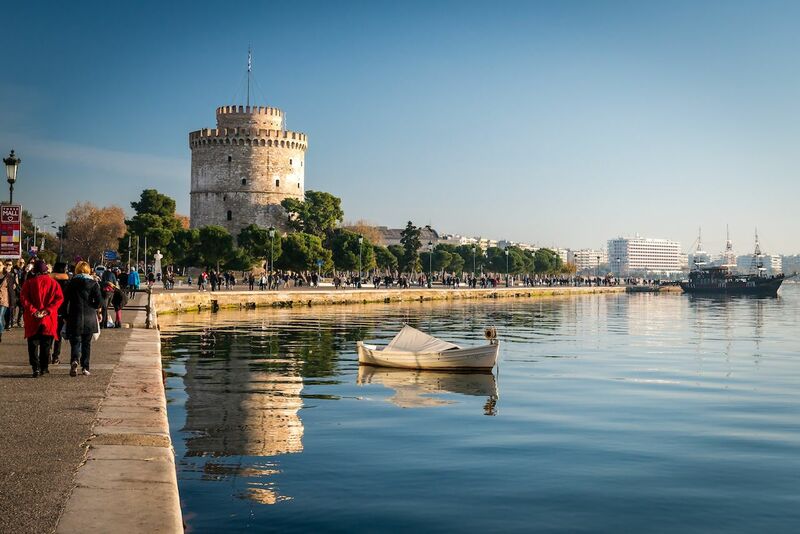 After learning about Thessaloniki’s complex history in the Tower Museum, try some grilled corn or walnuts from the waterfront’s street-food vendors, then stroll to a nearby bar for a refreshing glass of ouzo. It has the best hammam baths in Greece. If there is one thing Thessaloniki does better than anywhere else in Greece, it’s the traditional hammam bath. 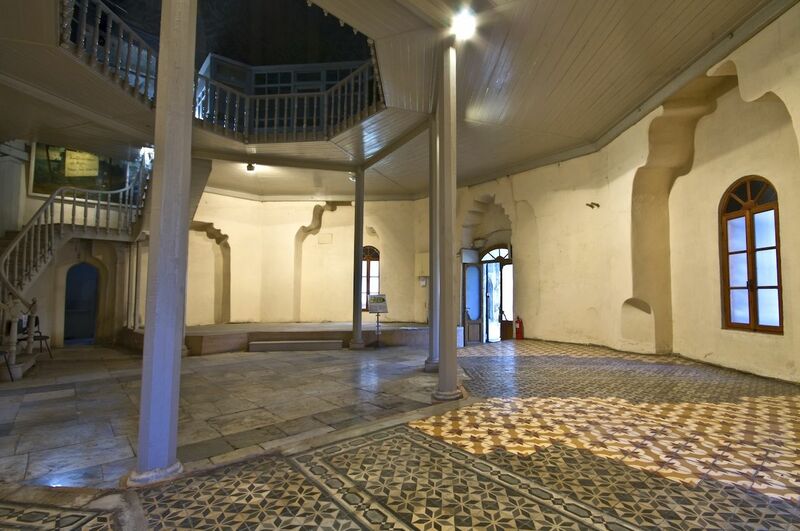 Dating back to the 15th century, hammam baths serve as a reminder of the not-so-distant Turkish occupation of Greece and its ongoing influence in the region. Strategically located throughout the city, though habitually under-advertised, hammam baths are the perfect way to relax after a long day of sightseeing. The experience lets you blow off some steam (literally!) while socializing with locals and other tourists doing the same thing. 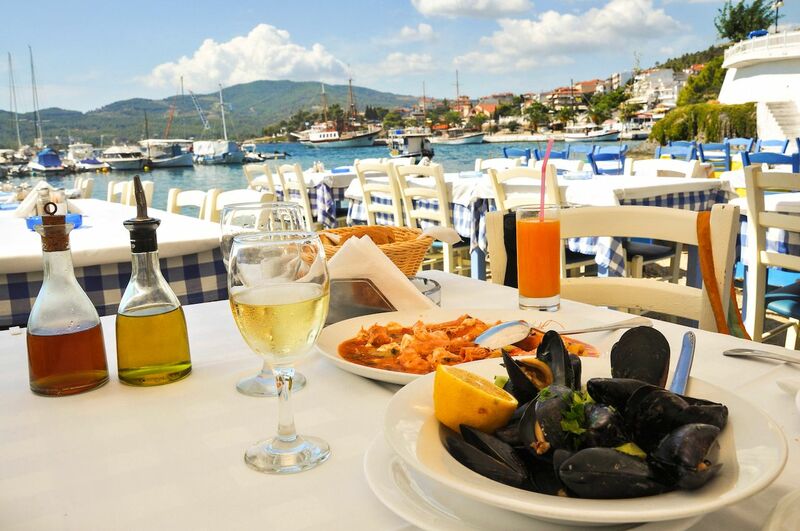 Both southern and northern Greeks claim to have the most authentic, delicious cuisine. We won’t take sides, but Thessaloniki’s food is nothing less than excellent, and the restaurant scene offers examples of what the cuisine of northern Greece is all about. Shaped by very diverse cultural influences, the city boasts some of the best street food in Europe, offering syrupy desserts from the Asia Minor region along with beloved traditional Greek dishes and drinks. No matter where you choose to dine, you’ll find that fresh seafood, grilled meat, and savory pies are always on the menu. Make sure to try the traditional mpougatsa, a cheese pie dish with minced meat and chocolate or cream and a local-favorite snack for breakfast, lunch, and dinner. Along with enjoying the great hilltop views, delicious food, and lively nightlife, be sure to visit a few of the city’s captivating museums. The Archaeological Museum of Thessaloniki has been open for more than a century and is a great place to start. Alternatively, the Museum of Byzantine Culture features mosaic walls along with sculptures, paintings, and other artifacts that shine a light on the city’s past life. 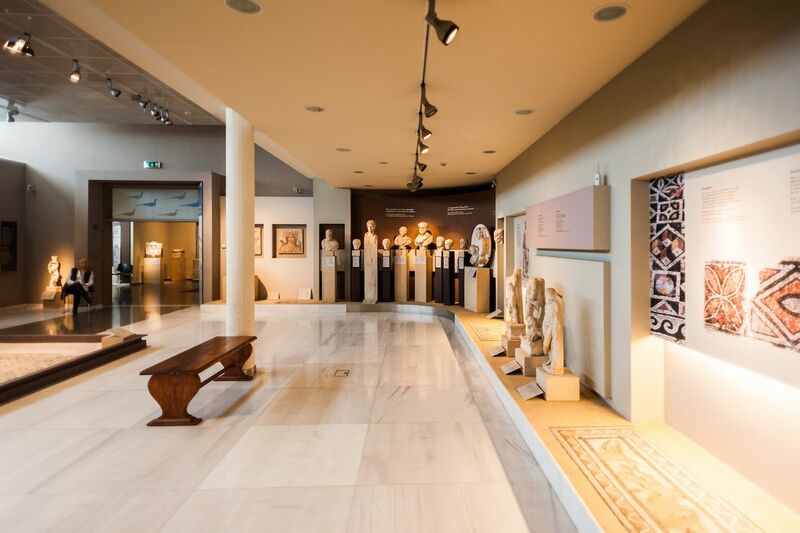 For art lovers, the Macedonian Museum of Contemporary Art and its two thousand exhibits or the fascinating Thessaloniki Museum of Cinema are excellent options. It’s becoming an international art hub. Thessaloniki has always inspired artists. Songwriters, novelists, and poets have praised the city’s beauty for decades. Lately, it has been rapidly transforming into an international art hub with events and exhibitions taking place throughout the year. Many of them are hosted at the Teloglion Art Foundation and feature exhibits of sculptures, photographs, and paintings from both Greek and European artists. The Thessaloniki International Film Festival, which has taken place annually since 1992, features films from around the globe. Come summertime, street musicians and performers show up on nearly every corner to amaze passers-by. If you’re lucky, you may witness an authentic Greek celebration at a local tavern, usually sparked by the sudden appearance of the Greek stringed instrument called a bouzouki. It’s near one of Greece’s most famous national parks. If you need an escape from urban surroundings, plan a short trip to one of the most famous national parks in Greece. 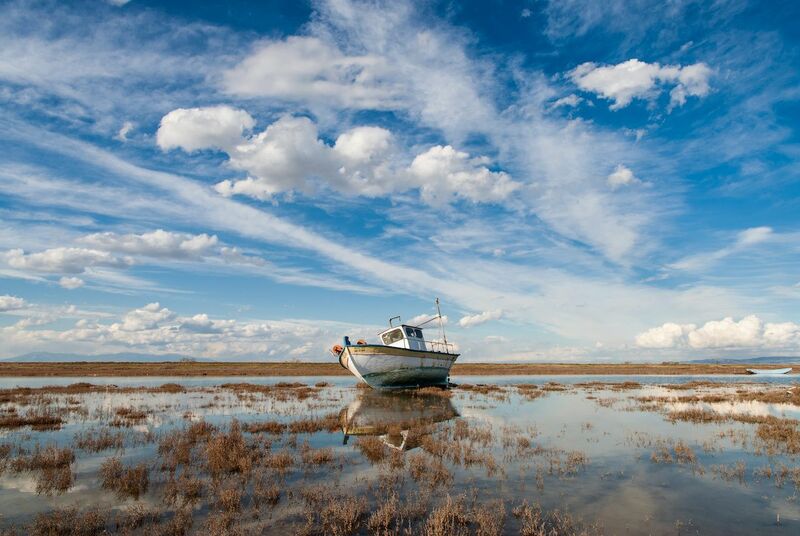 Just a few kilometers away from Thessaloniki, Axios Delta National Park is a majestically biodiverse ecosystem that encompasses two river estuaries, lagoons, and marshlands. Strolling along the riverbanks, you’ll be met by flamingos, water buffalos, swans, ducks, and pelicans, so have your camera loaded and your trigger finger ready.